1.Lewinsohn DM, Leonard MK, LoBue PA, et al. 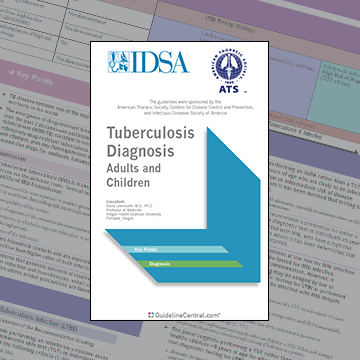 Official American Thoracic Society/Infectious Disease Society of America/Centers for Disease Control and Prevention Clinical Practice Guidelines: Diagnosis of Tuberculosis in Adults and Children. Clin Infect Dis. 2017; 64(2): el-e33. The Oxford Immunotec logo and T-SPOT are registered trademarks of Oxford Immunotec Ltd. The distribution of this guideline is supported by Oxford Immunotec.